The rose petals make the mask seem so elegant. 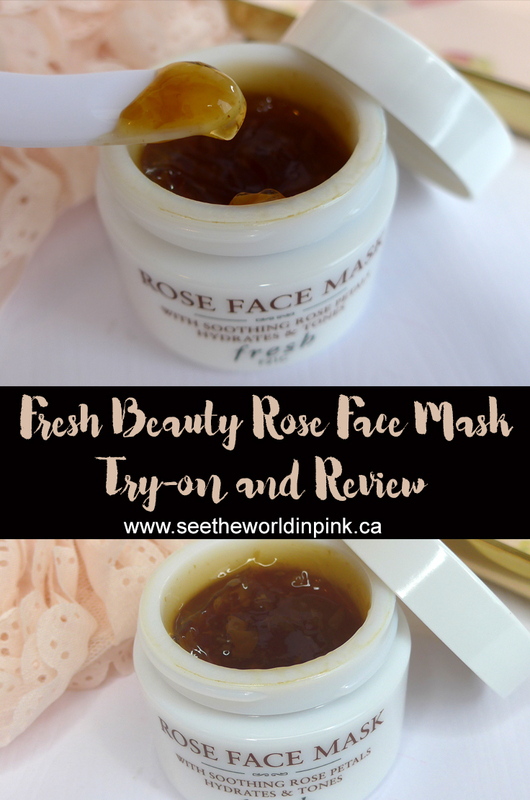 Products with roses have always worked extremely well on my skin so I think this mask will be great! This mask is easy to use - wash face, apply a layer to the face and leave on for 5 - 10 minutes, then rinse well with water and complete skincare routine. This mask can be used daily. 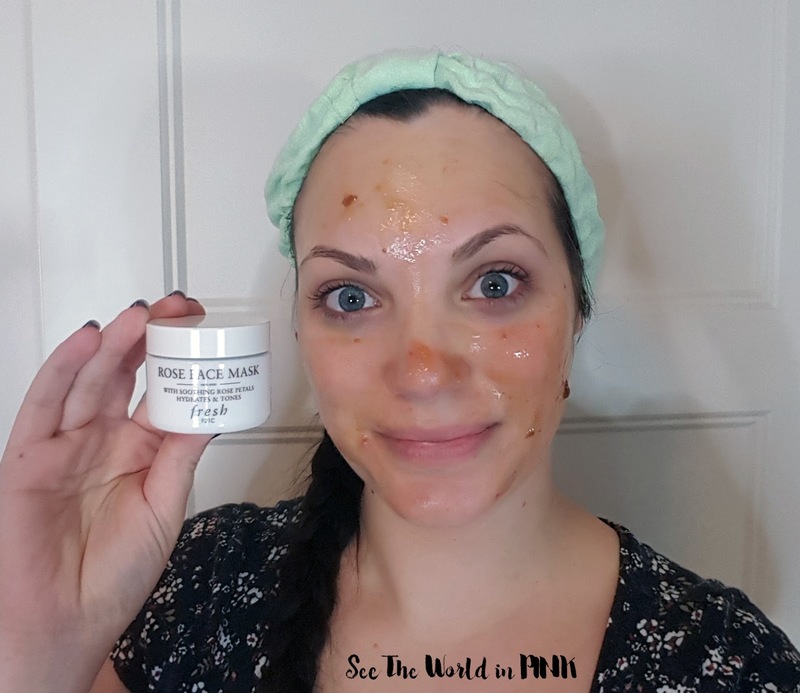 This mask is easy to apply and smooths really easily on to the skin. You only need a small amount to cover the whole face. It is instantly cooling on the face and feels really soothing! This mask doesn't dry down on the skin - instead it absorbs in the wear time and just leaves a small layer on top of the skin. It was really easy to rinse off and my face felt really soft and hydrated after wearing it. The following morning my skin was bright and refreshed! I really enjoyed this mask and my skin looked and felt great. I think the price may be intimidating for some people; but, you really don't need much product so this will last a long time! And, I do like that they have smaller jars to try the product if you aren't ready to pay $75 - I often do this when possible so I can try it before I buy a full sized product! I got this as a gift a few sephora birthday's ago and i use it sparely because I like it so much but I just can't get over the price. I also love their soy bean cleanser too, but I'll have to use it up soon because I've had it for a while. I too love how little you need to use of this product to get a great result. Yes, I love this - it is expensive, but so nice on the skin! I agree, that cleanser is great too!